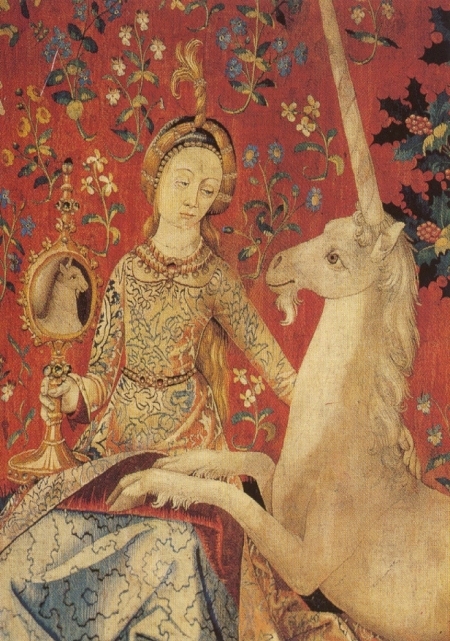 The Lady and the Unicorn – from the 15th century Tapestry Cycle housed at the Cluny Museum, Paris. This ancient European iron age piece is a horse gear mount, and was probably used for attaching to a harness or possibly a chariot. It was discovered most likely in Gaul and is believed to date back between the first to third centuries, A.D. It is formed from “trumpet-shaped” elements into a Celtic “trefoil” design, which means “3 leafed.” Threefoldness is central to the Celtic psyche and permeates all things, corresponding, for example, to the tripartite goddess.